Tessera Solar's legal woes could have been avoided if the company had simply taken the time to identify and consolidate already-disturbed lands for its project, avoiding ecologically and culturally sensitive areas. Judge Burns--who was appointed to the bench by President Bush in 2003--chided the Department of the Interior for "gliding" over its statutory responsibility to consult with the Quechan Tribal government before approving the project, which would be built on public land and would have been awarded taxpayer-backed financing. Judge Burns' order underscored the shallow nature of what the Department presented as evidence of "consultations." The order summarized letters that the Department sent to the Quechan Tribe, dismissing the tribe's concerns and approving the destruction of the cultural sites without meaningful consultation with the tribe's representatives. BLM's invitation to "consult," then, amounted to little more than a general request for the Tribe to gathers its own information about all sites within the area and disclose it at public meetings. Because of the lack of information, it was impossible for the Tribe to have been consulted meaningfully as required in applicable regulations. The documentary evidence also discloses almost no "government-to-government" consultations. While public informational meetings, consultations with individual tribal members, meetings with government staff or contracted investigators, and written updates are obviously a helpful and necessary part of the process, they don't amount to the "government-to-government" consultation contemplated by the regulations. The decision is the first legal strike against the Department of the Interior's "fast track" approval process for renewable energy, which concerned citizens believe rushed the environmental review process and reflected political momentum behind industrial-scale solar energy more than a careful examination of the impacts of proposed projects. Part of the first wave of massive solar proposals in California's desert, Tessera Solar LLC selected the Imperial site apparently without regard for its ecological and cultural significance, and the Department of the Interior hastily approved the project in October in order to meet Washington's goal to build 10,000 megawatts of renewable energy on public land. Tessera Solar LLC's CEO Robert Lukefahr complained that the judge's decision prevents his company from providing renewable energy and jobs to Southern California. Lukefahr's company is beset with problems, ranging from complicated technology plagued by noise and mechanical failure, lack of investment, and poor siting decisions. 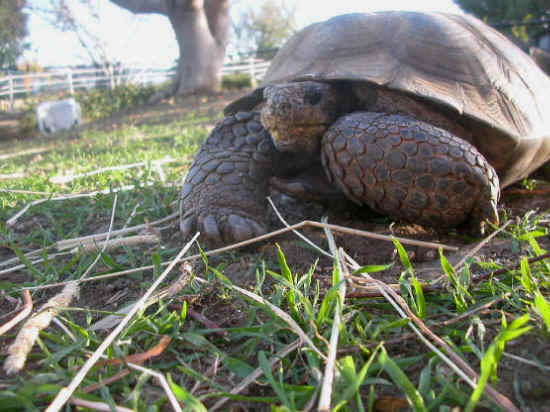 Tessera Solar's other California proposal--the Calico Solar power project--was approved for construction on over 6 square miles of public land that is home to a high density desert tortoise population and wildlife corridor. Although the Department of the Interior also approved this site, it has been scaled down due to environmental concerns and may face a legal challenge from the Sierra Club and California Unions for Reliable Energy. Tessera Solar's legal woes could have been avoided if the company had simply taken the time to identify and consolidate already-disturbed lands for its project, avoiding ecologically and culturally sensitive areas. Exemplars of projects on already-disturbed land include the Beacon and Abengoa Solar power projects. Although scrutinized for their use of water-intensive technology, the projects were approved earlier this year with minimal mitigation costs and no legal intervention since they are being built on fallow agricultural land.